Cold, hard cash. Is there any credit card reward more versatile? With cash, you can buy anything — airplane tickets, hotel stays, car rentals — that travel cards offer without the fuss and confusion. You don’t have to figure out how many points or miles you need to fly to visit family and friends or meet with business associates with cash back credit cards. We’ve narrowed down a dozen credit cards that offer great cash-back deals for those with excellent credit. We’ve avoided travel cards that also offer cash back because their most valuable rewards are points or miles, not cash. We’ve also left out cash back cards tied to specific merchants or organizations due to the membership requirements. Let’s dig in! These cash back cards are designed for personal use. You earn cash rewards by using these cards in your daily life, whether you’re shopping for food, taking in a movie, or joining the Y. The Chase Freedom Unlimited® is named so because you earn unlimited 1.5% cash back on all purchases. Cash back rewards are permanent for the life of the account, and there is no minimum redemption amount. This no-annual-fee card offers an introductory period for 0% APR purchases and balance transfers, but a balance-transfer fee applies. New cardholders will also receive credit protection via Credit Journey, the free Chase portal for accessing your credit score and more. You also get $0 liability protection against unauthorized card use, purchase protection for 120 days on new purchases, up to $500 per claim and $50,000 per account, and extended warranty protection for one year beyond the regular period offered by eligible U.S. manufacturer’s warranties of up to three years. 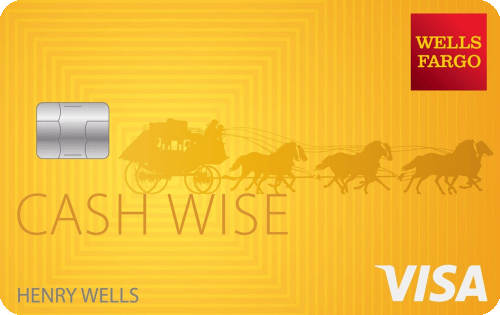 The Wells Fargo Cash Wise Visa® Card is another flat-rate card with 1.5% cash back on all purchases and no annual fee. However, you earn 1.8% cash back during the first 12 months when you use the card through Apple Pay or Google Pay. You can access your FICO score for free with this card, and you even get cellphone protection when you pay your monthly bill with the card. Your phone is covered for $600 against theft and covered damage. You can redeem your cash back at more than 13,000 Wells Fargo ATMs using your Wells Fargo ATM or debit card. 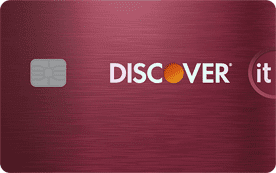 The Discover it® Cash Back is our top bonus rewards credit card for persons with excellent credit. For a no-annual-fee-card, it offers generous cash back, starting with 5% ($1,500 combined-purchase maximum) at quarterly rotating places such as grocery stores, gas stations, restaurants, Amazon.com, and more. You must activate your 5% cash back rewards quarterly. All other purchases earn 1% cash back. The card also matches your first year’s cash back dollar for dollar. You can redeem your cash back for a statement credit, through a transfer to your bank account, via a donation to your favorite charity, at Amazon.com, or through gift cards or partner e-certificates ($20 minimum). The card also offers the Freeze It on/off switch on your account, free FICO scores, and continuous fraud monitoring. If you’re a fan of tiered-rewards cash back cards, our experts prefer the Capital One® Savor® Cash Rewards Credit Card. It pays 4% cash back on entertaining and dining, 2% at grocery stores, and 1% on all other purchases. The annual fee is waived for the first year, but the three-month introductory signup bonus requires a minimum spend larger than some of its competitors. The card offers a wide array of protection, travel, purchase, management, and access benefits. 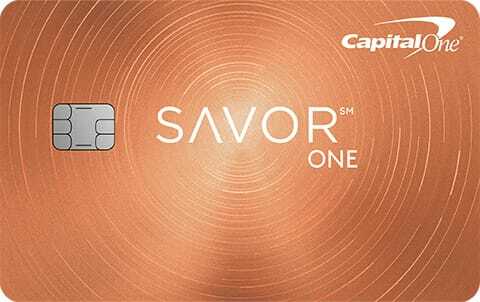 The Capital One® SavorOne℠ Cash Rewards Credit Card charges no annual fee. It is a tiered card with 3% cash back on entertainment and dining, 2% on grocery shopping and 1% on everything else. Its new cardmember bonus is modest and easy to achieve. The card also features a 0% APR introductory period for purchases and balance transfers, and you get discounts and exclusive reservations at various venues, including Resy Exclusive Tables, Off Menu Weeks in several cities, and VIP tickets to special events hosted by Capital One. The card doesn’t charge any foreign transaction fees. The Capital One® Quicksilver® Cash Rewards Credit Card offers a flat 1.5% cash back rate on all purchases. Consumers who want a simple-to-use card will like this one since it has no special categories or multiple cash back rates. The card has no annual fee and a very modest new cardmember offer. The card has an introductory 15-month period with waived interest charges on purchases and balance transfers. Travel and retail benefits include travel accident insurance, no foreign transaction fees, auto rental collision damage waiver, 24-hour travel assistance services, and extended warranty protection. Online purchases are secure with this card thanks to virtual card numbers via Eno. The Chase Freedom® offers quarterly rotating bonus categories that earn 5% on combined purchases up to the $1,500 quarterly purchase cap. Activation is required each quarter. All other purchases earn 1%, and there is no annual fee. Cash back rewards don’t expire for the life of the account. The introductory period features a 0% APR on purchases and balance transfers. Cardholders can earn $50 for each new cardmember they recommend, up to $500 per year. The card provides a bevy of perks and cardholder protections, such as fraud alerts, purchase protection, $0 liability protection, and an additional extended warranty for one year on eligible U.S. manufacturer’s warranties. 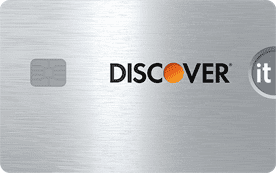 If you are a Discover fan who prefers a card with reward tiers, check out the Discover it® chrome. It pays 2% cash back for purchases at restaurants and gas stations on up to $1,000 in combined quarterly profits. You also earn unlimited 1% cash back on all other purchases. The card provides a dollar-for-dollar cashback match on the rewards you earn during the first year. You get free Social Security number monitoring on thousands of risky websites when you sign up. You also get $0 fraud liability, instantaneous account freeze, and free alerts when any new credit or loan account appears on your credit report. Businesses need credit, and a cash back card is a super way to access funds when you need them. Plus, you earn cash back on your business purchases, always a smart idea. Our top-ranked cash back card for businesses with excellent credit is the Ink Business Cash℠ Credit Card from Chase. This is a tiered cash back card offering 5% cash back on the first $25,000 in purchases each anniversary year from office supply stores and cable, phone, and Internet service providers. You get 2% cash back on the first $25,000 in purchases each anniversary year at restaurants and gas stations. All other purchases earn unlimited 1% cash back. The card has no annual fee and it provides employee cards at no extra cost, as well as $0 liability protection. You can redeem rewards for cash back, travel, and other items via Chase Ultimate Rewards. Rewards never expire while the account remains open. The Capital One® Spark® Cash for Business keeps it simple with an unlimited 2% cash back on all purchases, redeemable with no minimum, at any time. The annual fee is waived for the first year, and there is a bonus cash back offer for new cardmembers. Business owners will like the quarterly and yearly summaries from Capital One showing itemized spending, and the ability to download your purchase records easily in several formats. There are no foreign transaction fees. You also get free auto rental damage waivers, 90-day purchase security, plus extended manufacturer’s warranties. The Capital One® Spark® Cash Select for Business version of this business credit card from Capital One boasts a $0 annual fee. You get unlimited 1.5% cash back on all purchases and a cash back signup bonus offer for new cardmembers. You’ll also receive an intro APR of 0% for 9 months on new purchases. The card offers free employee cards, customized spending reports, and purchase-transaction downloads. You receive $0 fraud liability for lost or stolen cards and automatic fraud alerts via the phone, email or text. You can turn qualifying business purchases, like gasoline, hotels and postage stamps, into savings via Visa SavingsEdge. The Ink Business Unlimited℠ Credit Card from Chase gives you unlimited 1.5% cash on all your purchases, with no annual fee. Besides cash back, you can redeem your rewards for travel, gift cards, and more at Chase Ultimate Rewards. You can obtain employee cards at no extra cost. Traveling cardmembers are protected with travel and emergency assistance services and auto rental collision damage waiver. The card also provides $0 liability protection, fraud monitoring, extended warranties, and 120 days of damage/theft protection on new purchases. Top honors among the flat-rate cards go to the Capital One® Spark® Cash for Business, with 2% unlimited cash back on all purchases. The only catch is the annual fee, but it is waived for the first year. Among the other flat-rate credit cards, 1.5% cash back is generally the best offer available. 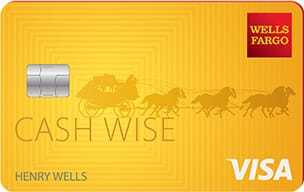 The Wells Fargo Cash Wise Visa® Card does provide 1.8% cash back, but only for 12 months on mobile wallet purchases specifically, after which its rate reverts to 1.5%. If you do the bulk of your shopping with certain types of merchants, such as grocery stores or gas stations, you may prefer credit cards that specifically reward those types of purchases. Several cards give you up to 5% cash back at selected merchant types, but be careful — sometimes the favored merchant types rotate quarterly, while on other cards they remain static all year. Also be aware of spending limits on high cash back cards with favored categories. For example, the Discover it® Cash Back pays 5% cash back on quarterly rotating categories, but it’s limited to $1,500/quarter in purchases, or $75 cash back in the current category. As a sweetener, the card provides a 100% Cashback Match for the first year, the equivalent of 10% cash back — until the limits set in. The Ink Business Cash℠ Credit Card offers 5% or 2% cash back on certain categories, but cash back rewards for each rate above 1% are limited to $25,000 in annual purchases. If you heed the limits, these 5% cash back cards give you the most cash back. The Capital One® Savor® Cash Rewards Credit Card provides 4% cash back on certain purchase categories, without limits. This card can be a great choice if you spend a lot of money each year on entertaining and dining, but there is an annual fee that is waived the first year. These cards offer the same percentage cash back on all purchases. Many of the flat-rate cards reviewed here offer 1.5% cash back with no annual fee. These cards offer high cash back rates, as high as 5%, on purchases from selected merchants. The merchant categories rotate each quarter, and you must register quarterly to get the high rewards. Usually, the amount of qualifying purchases each quarter is capped. All other purchases provide lower cash back rates, typically 1%. Like the bonus reward cards, the tiered rewards cards offer high cash back for certain types of purchases. However, the favored purchase categories don’t rotate throughout the year and remain fixed throughout. Tiered cards may have annual caps on qualifying purchases and may charge an annual fee. The Discover cards mentioned in this article offer a 100% Cashback Match during the first year. This means that every dollar of cash back you earn during the first year will be matched by the card issuer, effectively doubling your cash back rewards for the first year. In addition, most cards provide signup bonus cash back offers, in which you purchase and charge a target amount during the first three months after opening the account. In return, you’ll receive a lump-sum reward if you reach the target amount within the introductory period. Some cards featured here offer introductory $500 cash back bonuses in return for several thousand dollars of spending, while others offer more modest bonuses. Is Cash Back Better than Miles? The answer depends upon your lifestyle. Do you fly a lot? If so, you may find you get more value out of mileage cards. Not only will they pay for travel tickets, but they also provide certain popular perks, such as waiving some luggage fees and offering room discounts at selected hotels. On the other hand, you can spend the cash you earn from a cash back card on travel expenses, without bothering to figure out the complex rules surrounding mile rewards and redemptions. Furthermore, cash back is the most versatile reward, since you can spend it on anything. Some mileage cards allow you to take your rewards as cash rather than flight discounts. However, be aware that these cards make the cash back alternative less valuable than the miles you receive from the card. But if you rarely fly, there really is no reason to get a mileage card. In this case, cash back is far more valuable to you. Note that several of the cash back cards offer some nice travel perks, such as travel and emergency assistance services, no foreign transaction fees, and auto rental collision damage waiver. Nonetheless, mileage cards have improved in recent years. Many offer 50,000 to 80,000 bonus miles as an introductory reward if you purchase a sufficient amount during the first three months. Most offer non-expiring miles for as long as you own the card and offer airline ticket rewards with no blackout dates. But in the end, you could buy the same things using your cash back rewards. And as we’ve said, nothing is more useful than cash. Coupon clipping is a popular way to shave dollars off your grocery bills and other expenses. But that takes a lot of work and the results are often hit or miss. A cash back card always provides you at least 1% cash back on everything you buy, and sometimes as much as 10% back in the first year on certain cash back match cards. Furthermore, you get cash back on even exclusive restaurants that would never think of offering a discount coupon. Cash back reduces the price of everything you buy without the fuss and confusion of coupons or other rewards programs.